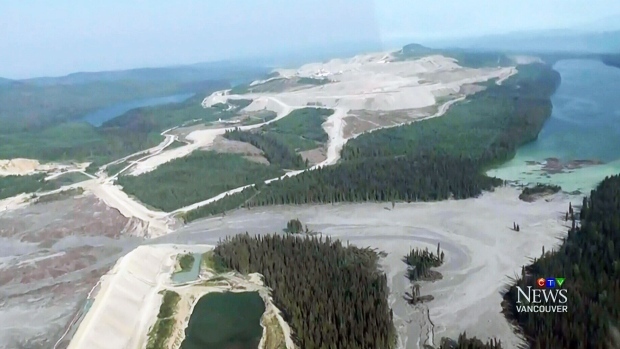 VICTORIA -- The massive tailings pond collapse at British Columbia's Mount Polley mine that spilled millions of cubic metres of waste and water into waterways could face more scrutiny with the release of a major investigation report. B.C. 's chief inspector of mines is set to deliver the second of three independent reports into the August 2014 disaster at copper and gold mine, near the central B.C. community of Likely. Al Hoffman's investigation is expected to include findings about the cause of the failure of the mine's tailings storage facility and make recommendations. Last January, a panel of independent experts concluded the Mount Polley spill was caused by a poorly designed dam that didn't account for drainage and erosion failures associated with glacial till beneath the pond. Last month, Hoffman and other officials within the ministries of mines and environment granted Imperial Metals Corp. (TSX:III) a short-term permit to discharge treated water from a storage pit into nearby Hazeltine Creek and through a pipeline into Quesnel Lake. Williams Lake Mayor Walk Cobb said the permit allows 200 people at the mine to continue working and could result in up 170 others being recalled to the site.